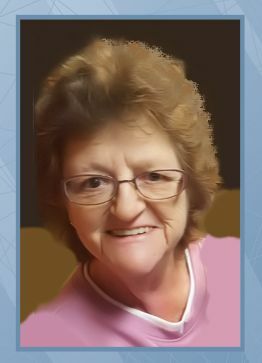 Sandra Elizabeth Holder, 71, of Brunswick, Maryland, passed away peacefully on April 6, 2019 at Frederick Memorial Hospital after a brief illness. She was of the Christian faith. Born on August 24, 1947, she was the daughter of the late Robert Roscoe Jones and Marguerite Alice (Kelbaugh) Jones. Sandra graduated from Brunswick High School, class of 1965. In the early 70’s she began work for the Washington County School Board. In 2010 she retired after 16 years with Gettysburg Insurance Company. She enjoyed many of the simpler pleasures of life, home, family and going out to eat. She loved spending time at the Brunswick Senior Center and her cat “Kitty”. She is survived by her son, Jeffrey Holder and wife Kelly; four grandchildren, Reggie, Brooke and husband David, Brice and Becca; and two great-grandchildren, Talon and Rylann. She is also survived by two brothers, Wayne Jones, wife Cathy Heffner and John Jones, wife Terri; nephews, Rob, Joe, Brian and Tony, and also her neighbor and good friend, Lou Bochetti. Friends will be received from 6-8pm on Thursday, April 11, 2019 at Stauffer Funeral Homes, P.A., 1100 North Maple Avenue, Brunswick, MD 21716. Funeral services will be private. In celebration of her life, memorial donations may be made to the Brunswick Senior Center, 12 E. A Street, Brunswick, MD 21716. Memories and expressions of sympathy may be shared with the family at www.staufferfuneralhome.com.